Regarding the “One Drop Rule” I think it is first important to note that the origin of this rule is rooted in racial prejudice. This fact, in and of itself, is a cause for alarm when debating its validity. Any concept birthed out of hate and racism will generally be flawed, mainly because of its tendency towards generalizations. Is a person with one drop of black blood in them black? The point of this rule at its birth was that being black was such a curse, such a horrible cancer, that if you were tainted with one drop of this poison, then your entire bloodstream was infected, thus, no matter what, making you a black person and including every bit of oppression that came with it. We would like to think that no matter what, we are the ultimate deciders of whom and “what” we are racially, but at the end of the day this is just not reality, because if it was, Michael Jackson’s life would have been much less tortured and Tiger Woods would be just another golfer. No one says that Barack Obama is the first bi-racial president, they say he is the first black president. The reality is that we are defined by how society views us and weather this works to our favor or to our detriment, we are ultimately victims of our physical appearance. Despite the one drop rule, there were many individuals during slavery and reconstruction that passed as white, regardless of the fact that by the oppressor’s terms they were black, usually having a black mother and a white father. These mulattoes sometimes had the appearance of being white and would therefore use this to their advantage, since this was the easier life to live. James Weldon Johnson wrote an amazing novel called, “The Autobiography of an Ex-Colored Man” in which a black man lived his life passing as white in order to have a better life for himself. This was the story of many blacks during that time, which is proof that despite how we see ourselves, it is society who has the final say. In our current society, the one drop rule is even less relevant because of the amount of race mixing that we have reached. The whitest white man and the blackest black woman more than likely have some other race in their genealogy somewhere down the line. We are all connected by the thread of history, yet we still have much further to go when it comes to racial tolerance and our overwhelming need to force labels upon those around us. I don't know if I'm the best person to speak to this issue as technically I am bi-racial (my grandmother was Jewish), I am as black as they come! If this is a conversation about how you see yourself, then my post stops here. You can identify, relate, believe, feel, and associate with any race, creed, or color you wish. Be proud of both (or all) and stand up and be heard if you would like to be heard! In this conversation, it feels as if we are limiting race as one of two things. It is either a state-of-mind, or it is an actual physical attribute. My state-of-mind says I am black. For others, it says they are white, or Asian (We have all met her...she looks black as night, but swears up and down she is Asain. Thanks BET!!!). To elaborate on my colleague's statement of my position, state-of-mind is a great thing. But it is limited to JUST the person, and his or her immediate environment and surroundings. Whether or not we agree or disagree, society defines MANY things for us. For example: If you want to do business (for the most part) in our society, you will do it between the hours of 8am - 5pm (9 - 6...same thing). You will cover up what society has said to be "private parts" of your body when you are in public, and so on... And like it or not, if society sees you as black...then you are black. 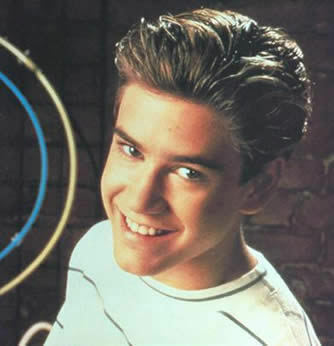 You can't tell me if Zach Morris (YES, from Saved By the Bell) walked into your office, house, board room...whatever, and said he was a Black Male, you wouldn't look at him side ways. If I look black, but have all white friends, join white social groups, listen to "white music" (whatever 'white music' is...but you know what I'm talking about) and FULLY identify myself as white, do you think ANY of that matters if I'm driving down the street at night in Mississippi? Does that matter when you give your information to the Census? Does it matter when I apply for a job, or take a test? At the end of the day, they see you as what they see you as. I was in Central America hanging out. HUNDREDS of songs were played by several different artists, but when the first rap song came on, a Snoop Dog song of all the damn songs, the Central Americans looked at me, bobbing there heads, and saying..."American music...we know about it! We like rap!" They didn't stop to ask me how I identified myself, the just saw a Black American. First things first, I am bi-racial (Nigerian & German) and, prior to my matriculation to NYC, I grew up in the very Red-State Midwest where my racial background was brought to my attention on a daily basis for about as long as I can remember. As a youngster, the White kids could clearly see with their own eyes that I was not one of them based on my skin tone. The Black kids believed, without question, that I was one of them...until my mom would show up to pick me up from school, which invariably produced the same expression of disbelief every time: "Yoooo! Your mom's WHITE?!?!?!?" they would gasp, as if discovering for the first time that I was actually from Mars. I remember thinking to myself "Thanks mom, now my cover's blown here too. Time to move to a new school again." The Black students would say things like "you're mixed!" as a diss intended to remind me that I was not 100% Black. Therefore, all throughout childhood, I never quite knew how to view myself. My colleagues, The Fed & GodSon, believe that it doesn't really matter whether we (bi-racial people) define ourselves as Black, White or other because society will make that determination for us when they look at us. While I concede that there is some truth to that, I have to slightly disagree with my partners on the proposition that society gets the last word on how we are defined because I think that approach, while acknowledging the biological element of race, ignores the very significant element of choice that is inherent in the social construct of race. For example, some bi-racial folks that I have met have skin so light that they could pass for white if they wanted to. Some identify more with being white, while others identify more with their Black side. And depending upon which direction those individuals choose to lean for themselves through their associations, music, clothes, tastes, etc., society's "view" is thereby shaped and determined by those choices of personal expression. Barack Obama is Black because, not only do we perceive his physical appearance as Black, but also because he chooses to be Black. Now does that mean he could choose to be Asian, for example? No, of course not. His biology wouldn't support such a claim. However, given his biology, and given the fact that the "Black Race" has, since its inception, been a mixed race, our society doesn't have to do too many mental gymnastic routines to accept the fact that Obama is Black. But don't get it twisted, just because society sees you as [fill in the blank] doesn't make it true. Looks can be, and often times are, deceiving. Bottom line, race is a complicated subject and I don't believe that it is as simple as mere biology. Biology is certainly a part of it, but being "Black" extends beyond mere anatomy. Therefore, I reject the notion that the "one drop" rule gives society the ability to define a culture of people. Likewise, I don't believe that society can define bi-racial people anymore than we can define ourselves. Today, I can easily tell you that I am a proud of BOTH sides of my heritage, but it wasn't until I was about 18 years old that I could fully appreciate that fact. It took me that long to figure it out for myself. Nevertheless, after much soul searching and many life experiences, I can tell you without a doubt that biologically I am both Black and White, however, culturally I am Black because I choose to be. To hell with what society thinks.